Get 20 percent off tickets with the code PCG at checkout. Do you remember the past? Lugging an entire desktop PC around to a friend’s house to set up in the spare room or basement, plug in with everyone else attending and play Red Alert 2 over LAN? Well that nostalgia-blast becomes reality at the PC Gamer Weekender, thanks to our LAN Retro Zone. 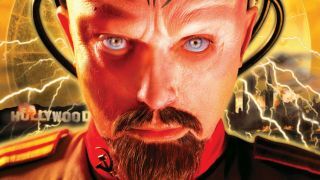 In the Zone you’ll be able to play games like the aforementioned Command & Conquer Red Alert 2, as well as other stone cold classics like Battlefield 1942, Star Wars: Dark Forces and Half-Life—all multiplayer (and single-player) gems from back in the day. It isn’t just about the nostalgia, you’ll also be able to see many more speakers, games and booths all at the PC Gamer Weekender, which is being held February 17-18 at the Olympia, London, in the UK. For more details see the site, and follow us on Twitter for up-to-the-minute news. Tickets are available now from £12.99. Use the code PCG at checkout to knock 20 percent off the ticket price.